Tonight's Carnival meeting is cancelled; next meeting this coming Thursday. 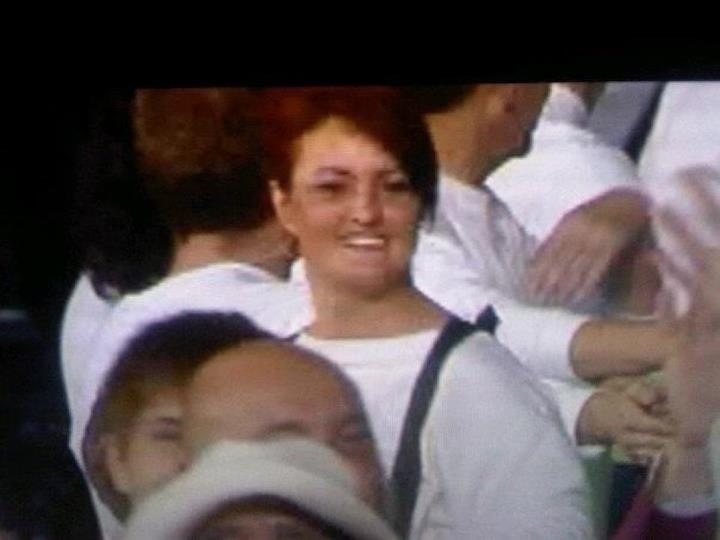 Our CMTS Star Tracey Williams in her Opening Ceremony role for the London 2012 Olympics. Well done Tracey, we are all very proud of you! We will be having our 2nd Carnival meeting this evening 7.30pm at our HQ. We will be planning what our Float will look like and sort out any Costumes for Members. We will be having our first Carnival meeting this evening at our HQ starting at 7.30pm. The purpose of tonight's meeting is to discuss our entry into the Procession and also sort out who can man stalls at the various Carnival events. If you are unable to attend but are still interested in joining us, please contact Sam McCarthy. Thank you. Thank you and Well Done to everyone who participated in yesterdays 'We Love The West Cliff' Concert to help celebrate the 25th Anniversary of the Friends of the West Cliff. 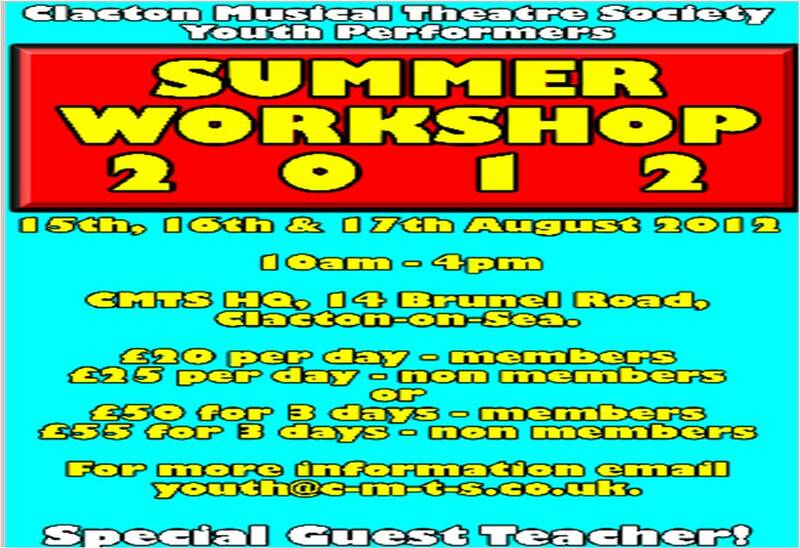 The CMTS section was well received and our Youth Performers had alot of great feedback of how professional and well behaved they were. 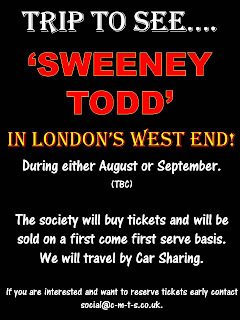 Trip to see Sweeney Todd! 'We Love The West Cliff' Concert - Make Up Notes. 'I will bring the CMTS Make Up boxes as usual but no base is needed. Men & Boys; Just some brick red on cheeks and lips. Information about 'We Love The West Cliff' Concert. The 'We love The West Cliff' Concert, which is this coming Sunday the 22nd, will be having a Rehearsal in the morning at the Theatre starting at 10am. 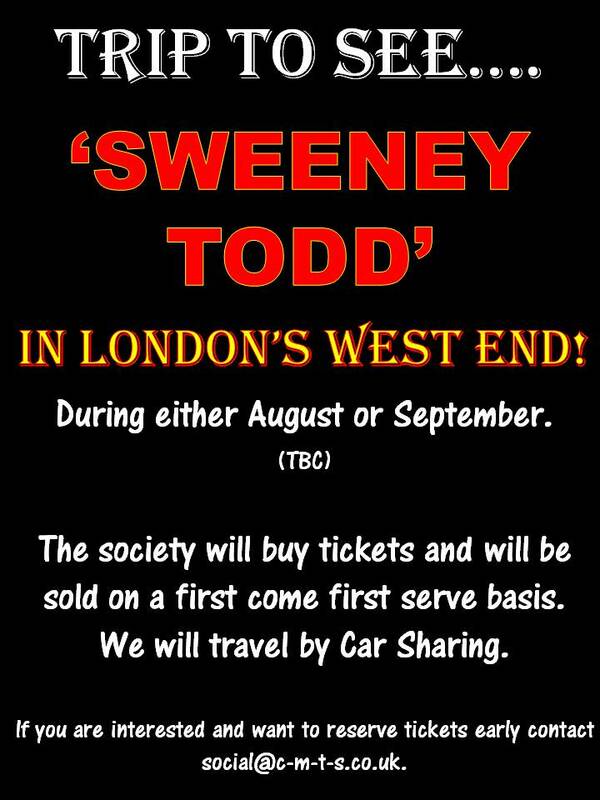 Please make sure you are there in time as it will be our only chance for a Rehearsal onstage before the performance. We will not have any of the Dressing Rooms back stage, therefore we will all be in the hall next door. Adults will be in one room and the under 16's (with their Chaperones!) in the main hall with the West Cliff Youth Group. CMTS - 'The Full Monty' - 'Breeze Off The River'. 'Women's World'. 'Walk With Me'. CMTS Youth Performers - 'Bugsy Malone' - 'Fat Sam's Grand Slam'. 'Give A Little Love'. CMTS - 'The Sound Of Music' - 'Nun's Chorus'. 'Doh Ray Me'. CMTS Youth Performers - 'Shrek' - 'Freak Flag'. CMTS & CMTS Youth Performers - 'Miracles'. 'Kids In America' - Bright Coloured Tops & Jeans. Any colour Shoes. 'The Full Monty' - As per Show. 'Bugsy Malone' - White Formal Shirt/Blouse, a Tie and Black Trousers/Skirts & Black Shoes. 'The Sound Of Music' - White Tops, Black Trousers/Skirts & Black Shoes. 'Shrek' - Black Tops, Trousers & Shoes. 'Miracles' - Bright Coloured Plain Tops, Black Trousers/Skirts & Shoes. Our new financial year starts on 1st August 2012 and therefore your Membership is up for renewal. The Management Committee has decided to increase the Membership Fees this year, due to the increasing costs to maintain our HQ and Show costs. Please note that they have stayed the same for the last three years. Student (12-18 years old. Can be up to any age but proof maybe required) = £11. Joint Membership (For two people from the same Family and living in the same house) = £44. Show Fees = These will be set on a Show by Show basis. Please also remember that in order to have continuous Service, you must renew your Membership. This then counts towards your Long Service Award. If you decide to not renew for this year, your Membership Service will start from when you rejoin. Please contact Julia Clarke, Membership Secretary, with your remittance. Thanks. 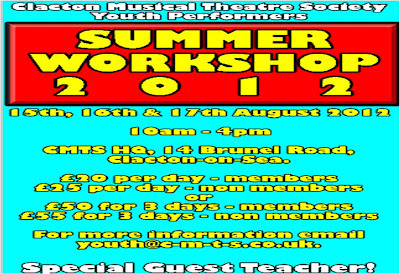 Due to Police advice, tonight's Rehearsal is cancelled and has been moved to tomorrow evening, Tuesday 10th July. Any problems please contact Sam on 07585440815.